All in one dedicated Mobile app for your institutions. Simple and hassle free solution for your institution. Edumia is developed with users in mind. Easy to use interface for all users. Enjoy your own branded app to connect with parents, students and teachers. Single app for all the users. 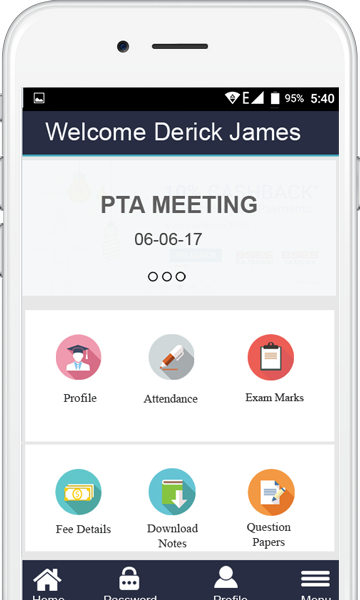 Parents, Students, Teachers and Admin can manage their academic activities through a single app. Easy and quick attendance management system. Teachers and admin can take attendance instantly with the app even without internet connection. Select the class and mark absentees, That’s all ! 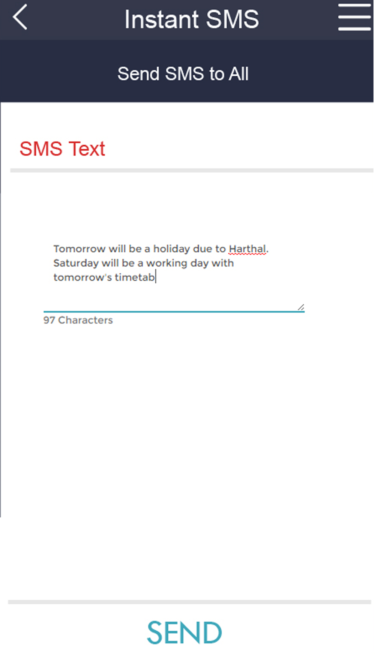 Instant SMS notification will be send to the absentee’s parents. 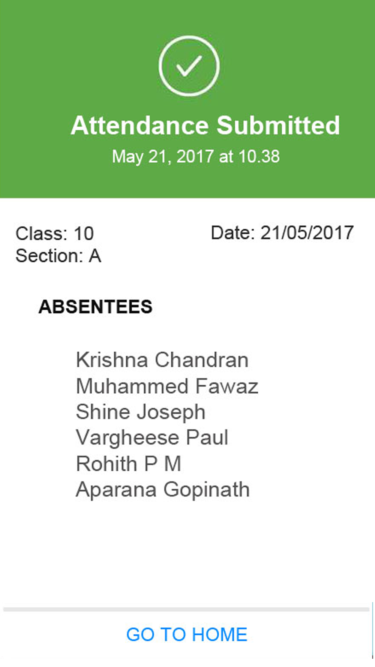 Parents and students can track the attendance details from their profile. Send Instant sms notification to parents or students from the app. An advanced and easy to use interface with various method to select the recipients like class wise, Section wise, Random students etc. Edumia helps you for everything needed to make assessment and reporting easier throughout the course of the student. 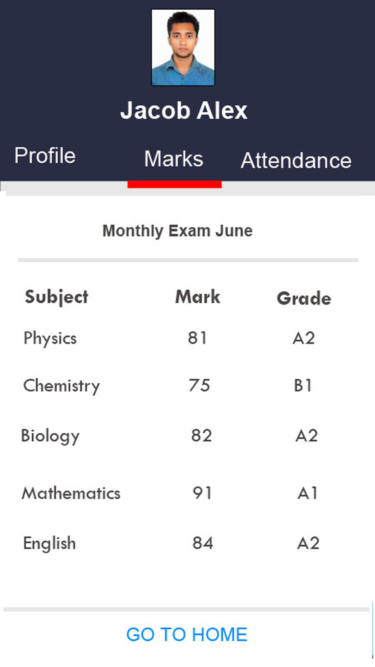 Teachers can submit marks through the app and personalized progress reports will be available for parents to evaluate. Diagrammatic analysis, class based, subject based and exam based reports will be available for teachers. Edumia is the best app you will ever use for your institution. Don’t just take our word for it, see what everyone else is saying! They are professional ,talented and helpful in their work on our Educare Mobile app project. The people responsible for our account go to great lengths to not only solve problems,but also suggest improvements beyond the scope of the task . I have no hesitation in recommending Team Edumia to others. Usually when companies make a great product and grow in size as a result, customer support suffers. Not so with Team Edumia. They focus on one product and support it perfectly. Edumia is an amazing product but its support is even better. 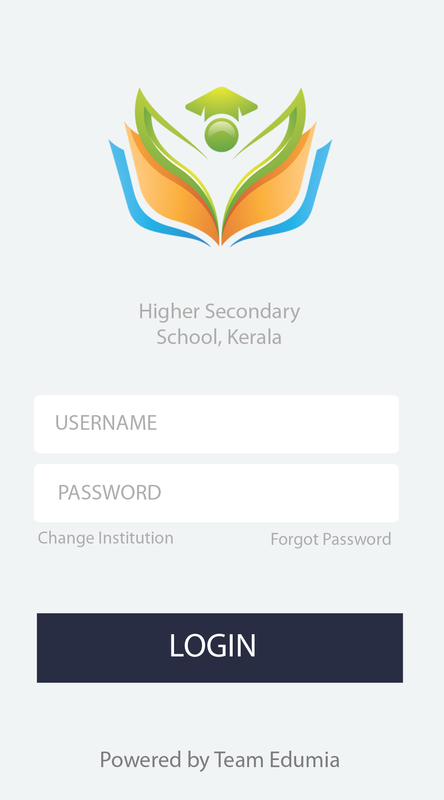 Simple, nice and user-friendly mobile app for Schools and Colleges.